The ASUS DSL-AC68U is the world's fastest ADSLVDSL modem Wi-Fi router, with combined dual-band data rates of up to 1900 Mbps. On the 5GHz band, 802.11ac gives 1300 Mbps wireless data rates, while Broadcom® TurboQAM™ technology super-charges 2.4 GHz 802.11n performance from 450 Mbps to 600 Mbps with compatible devices. Compatible with ADSL22+, ADSL, VDSL2, fiber and cable services, the top specification completes future-proofing. Three external antennas boost coverage to the next level, so you can enjoy lag-free gaming and streaming almost anywhere around the house. ASUS AiRadar with universal beamforming technology enhances the Wi-Fi stability and improves coverage up to 150%. Most importantly, the universal beamforming not only works on 802.11ac clients, but also 802.11abgn clients. Powered by dual dedicated CPUs for wired and wireless connections, the DSL-AC68U eliminates the performance drops that plague other routers with busy networks and maximizes both range and stability. So even on the busiest home networks, HD video streaming is always smooth, the latency low for online gaming and VoIP calls, and file downloads are never interrupted. The easy-to-use ASUSWRT graphical user interface unlocks the power of the DSL-AC68U giving robust control to optimize your network for you. 30-second set-up and easy traffic management means even network newbies can enjoy its sophisticated features, while power users will love its IPv6 support, multiple wireless SSIDs and secure VPN access. 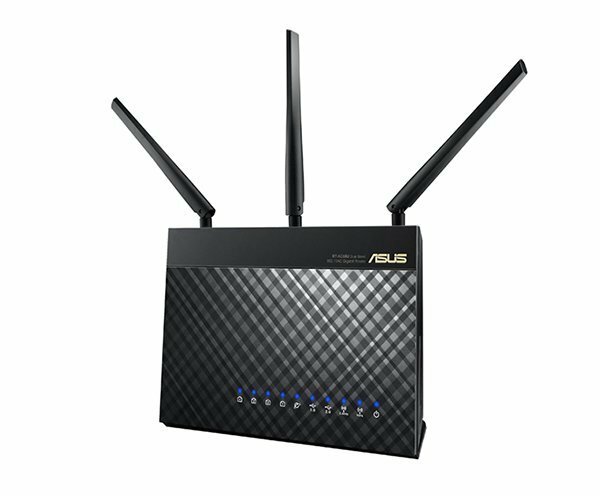 The Asus DSL-AC68U Modem Routers was added to the Routers category in June 2016. The lowest price GetPrice has found for the Asus DSL-AC68U Modem Routers in Australia is $269.00 from Computer Alliance. Other merchants who stock it are Computer Alliance, PCcasegear, Scorptec Computers, Bing Lee, Wireless 1, mwave, Best Deal 4 U Computers & I.T., Amazon AU.